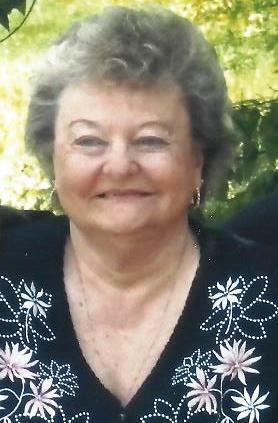 Sharon F. Walls, 75, of Mercer, passed away early morning, Friday, April 12, 2019 at her residence while surrounded by her loving family. She was born April 20, 1943, in Van Wert, to her late parents, Paul and Thelma Pearl (McClintock) Highley. Sharon enjoyed spending time with family and friends at the cottage on Lake Erie. She looked forward to watching the birds every year, especially her hummingbirds. She often watched baseball and other sports on television, often until late of night. Sharon was an incredible supporter of her children's and grandchildren's sporting events and activities. Sharon is survived by her husband, Gary of Mercer; son, Bart (Tonya) Walls of Mercer; daughters: Tammy (Rusty) Cheek of Rockford; Stacey (Jim) Bittner of Pleasant Mills, IN; Dee Walls of Celina; grandchildren: Austin and Kristin Heath, Courtney Miller, Jonathan (Emily) Cheek, Chelsea (Dwight) Castleman, Evan Cheek, Tasha, Taylor, Terra and Trace Walls, Jaron and Luke Bittner, Logan, Tucker, Heath and Bailey Laux; great-grandchildren: Addison, Carter, Hayden and Avery; sisters-in-law: Joann Highley of Celina, Lois Feasby of Convoy; Shirley Roediger of Celina; Sue John of Van Wert; Jeanette Walls of Mendon; brother-in-law, Don (Arlene) Walls of New Philadelphia. In addition to her parents, Sharon was preceded in death by her brother, Paul W. Highley, sister, Shirley Prichard, brothers-in-law: Lloyd "Bud" Prichard, Gene Walls, David Walls, Dewane Walls; sisters-in-law: Dorothy Stoll, Eleanor Feasby and Alice Parnell. A funeral service will be 10:30 AM Wednesday, April 17, 2019 at Mercer United Methodist Church, 5595 Mercer Road, Mercer, OH with Rev. Troy Green officiating. Interment will follow in Riverside Cemetery, Rockford, OH. The family will receive friends from 2 to 8 pm Tuesday, April 16, 2019 at Ketcham-Ripley Funeral Home, Rockford, OH.